From complying with surgical checklists to engaging in open, interprofessional team communication, collaboration and dedication to continuous process improvement are of the utmost importance in assuring patient safety and optimal care. Teamwork training in healthcare has significant capacity to positively influence and enhance patient outcomes. Moreover, simulation consistently proves to be a powerful tool that supports a continuous process of improvement and has a positive influence on clinical competency and patient safety. The advantage of simulation as a powerful methodology for continuous quality and process improvement shows itself clearly in high-stress occupations and within industries where high reliability is a priority concern. (Think aviation, nuclear facilities, wildland firefighting). 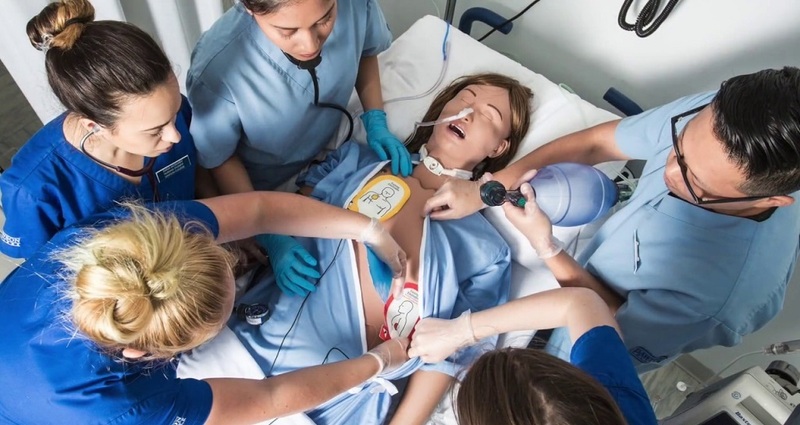 In healthcare, simulation-based training offers vast opportunities for clinicians to engage in repetitive, deliberate practice which proves to be of immense benefit. By learning in a risk-free environment, mistakes can be made without potential harm to patients, and behaviors may be adjusted accordingly towards developing proficiency and skills mastery. Simulation training provides an invaluable opportunity for healthcare learners to apply theory to practice and train in procedures and techniques that they might not otherwise have access to -- all without risking patient safety (i.e., during emergency situations and resuscitation). Effective patient care relies heavily on cooperation and collaboration among individuals from across medical teams and, quite often, from different backgrounds in terms of training and experience. Therefore, clear communication, specific objectives, and streamlined interaction are essential to ensure that all necessary protocols and processes are adhered to for improving patient safety. In a simulation-based training scenario, learners can develop essential non-technical skills (i.e., management of emotions, decision-making aptitude, situational awareness) by performing team-oriented tasks just as they would in a real-life situation. More than just talking through the steps, or reading about a process in a textbook, hands-on training encourages the solidification of key behaviors. When enhanced with a post-simulation debriefing, the result is, even more, deeper learning. Free White Paper: "Training for High-Stress Environments"
Achieving continuous quality improvement in healthcare mandates dedication from practitioners as well as from the healthcare system itself. Here are just a few key elements that successful high-reliability organizations (HRO) have in common. These attitudes may be adapted to the healthcare-specific situations as a means to foster a culture of patient safety. If you're interested in reading more about the benefits of simulation training for process improvement in high-stress environments (such as within emergency medical teams), access this white paper from JEMS (Journal of Emergency Medical Services) and sponsored by CAE Healthcare, entitled "Increasing Performance in High-Stress Environments with Effective Simulation"
1Salas E, DiazGranados D, Weaver SJ, King H. Does team training work? Principles for health care. Acad Emerg Med 2008;11:1002–9. 2 Christianson MK, Sutcliffe KM, Miller MA, Iwashyna TJ. Becoming a high-reliability organization. Crit Care. 2011;15(6):314.